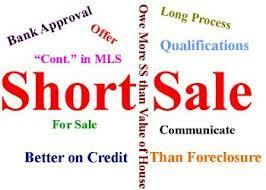 Why should you short sale your Florida home? 5) Start to rebuild your credit. Why use our short sale team? Because we are licensed as both attorney and Realtor. Our firm offers a full range of advice as to timing issues regarding short sales, foreclosure defense, modification and bankruptcy planning. Our team includes a title company, GulfAtlantic Title and Appraisal, with a 93% closing rate which is practically unheard of when the average is only 50-70%. We are usually able to get an offer on a single family residence in Hillsborough, Pinellas, Pasco, Sarasota, Manatee and Polk counties in a matter of hours or days due to the large number of investors buying in the Tampa Bay area right now. The demand is so high, investors are actually overpaying for properties. There is no need to go elsewhere if a short sale sounds like a good option to you. These investors are cash only and there is no need to wait for buyer financing to come through. They also will wait around long enough for the short sale to close. There are no open houses, signage or showings to deal with. With our streamlined process, we are seeing short sales regularly close within 90 days with a minimum of hassle.